There are many uses for the exotic hardwood decking offered by AdvantageLumber.com. A fast and easy way to add life and personality to your deck is to build a planter box using any of our exotic woods like Ipe, Cumaru and Tigewood. This DIY project is perfect for spring, giving your deck a new look. 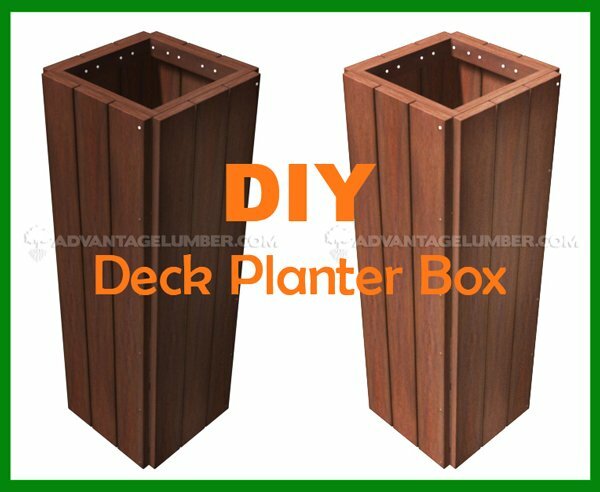 This entry was posted in Do-It-Yourself, How-to Build and tagged deck planter box, diy planter box, garden diy, planter box, weekend diy on March 17, 2015 by Mr. Ipe Hardwood.